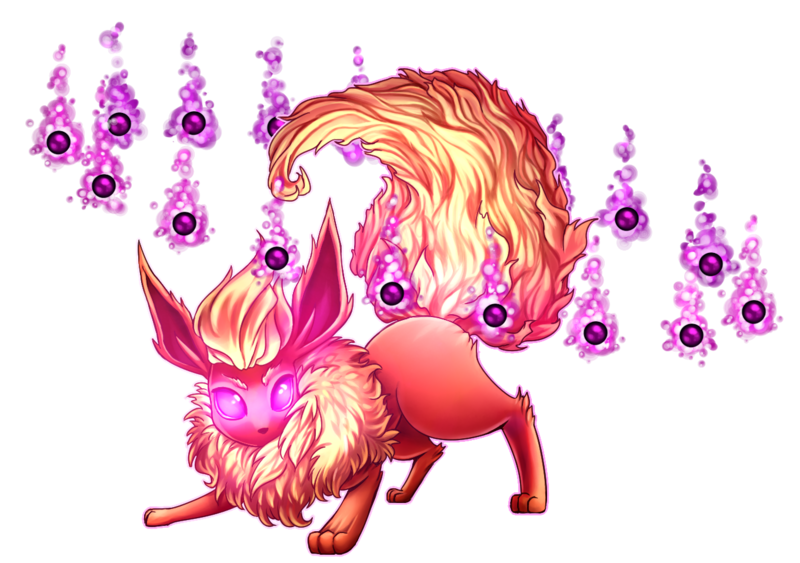 #136 Flareon used Fire Spin and Will-O-Wisp! 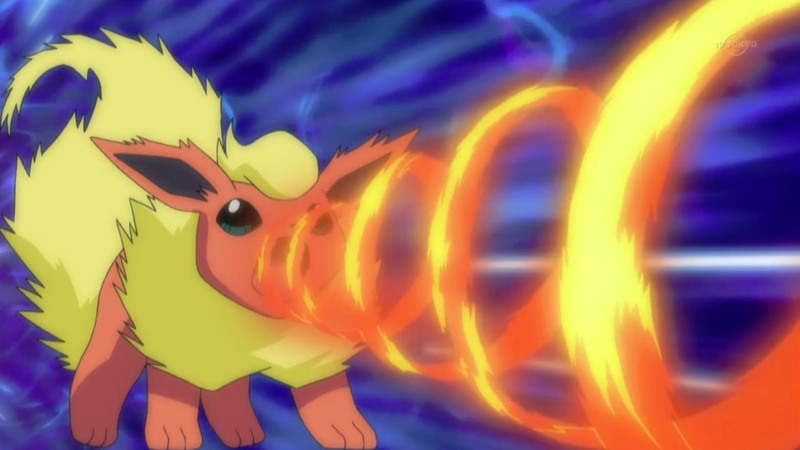 The Fire Spin is a damage dealing Fire-Type move that is available since the first generation of Pokémon games. It is a powerful move that does not only deal raw damage in one round but also adds Fire Damage for the following 2-5 turns so it is especially good against opponents with a lot HP. The damage this move deals and also some fo the side effects were altered with in every new generation of Pokémon games up to Gen VI. iKiska from Ireland drew Flareon for our Project after she read about it on deviantART. She has a very unique style and while she doesnt draw Pokemon often, her gallery is full of little gems to discover! 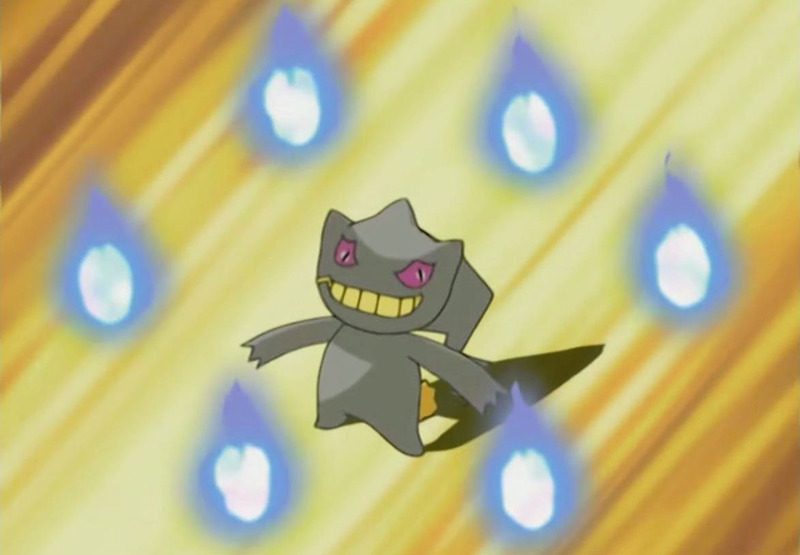 Named after the ghostly phenomena of legend, Will-O-Wisp is a Fire-Type move introduced in Generation III. It has been found as TM Move TM 61 since Generation IV. Will-O-Wisp exists solely to inflict the target with Burn status. As such, Fire-Type Pokemon are not affected by this. It is particularly common to obtain with certain Ghost-Type Pokemon as they level up given its spiritual nature and origin. 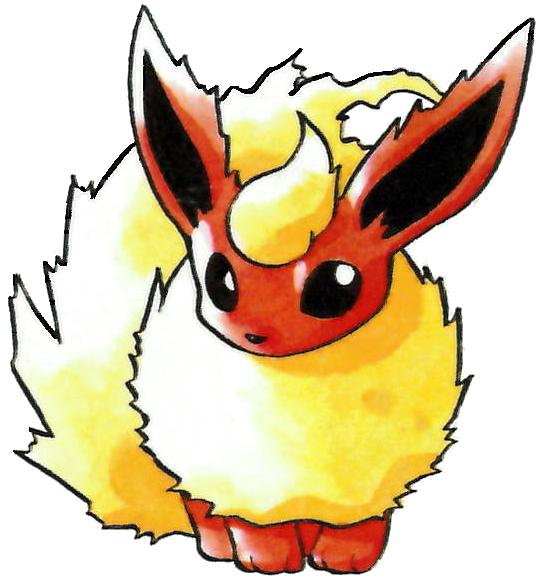 Flareon is one of eight different evolutions Eevee can transform into. 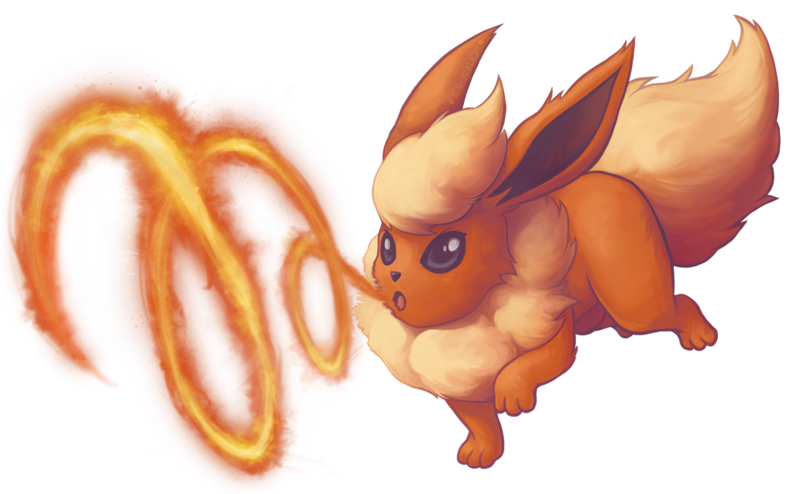 Eevee becomes Flareon when exposed to a Fire Stone. 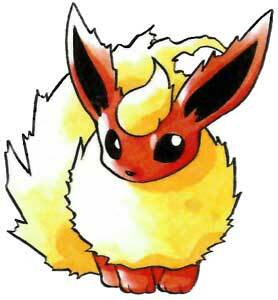 It was one of the three main evolutions of Eevee from Generation I; joined by Jolteon and Vaporeon. It’s fiery red fur tends to grow even brighter as its internal temperature rises. It regulates its rising body heat using the yellow fur surrounding its neck to cool it down. An internal flame sac within its body turns inhaled air into bursts of flames; usually through its mouth. It’s first noteworthy appearance in the anime was in the episode ‘The Battling Eevee Brothers’, under the ownership of the brother Pyro. In fact, typing in Pyro for the name of an unevolved Eevee in ‘Pokemon Go’ will ensure that it will evolve into Flareon in its next evolutionary stage. Although even if the trainer does not name the Eevee Pyro, there is a very high chance it will evolve into a Flareon regardless.